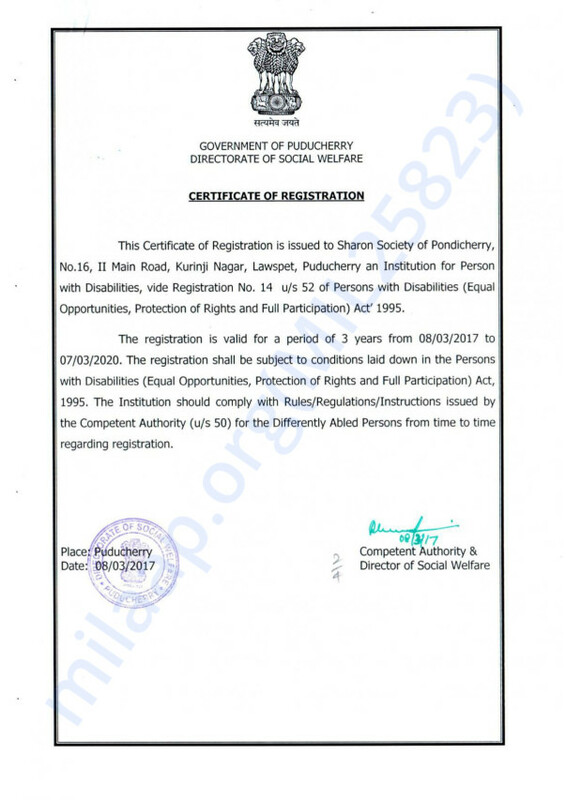 Sharon Special School- Sharon special school, a unity of Sharon Society of Pondicherry is engaged to take care of 20 children with developmental & intellectual Disabilities into 3 major areas – (1) Special Education, (2) Vocational Trainings (3) therapeutic services like physiotherapy, occupational therapy, Speech therapy, & Sports trainings etc free of cost. 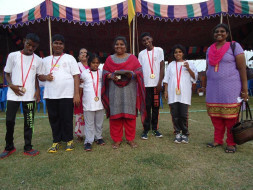 In 2016, our 5 Student were participated & won 8 Gold Medals in National Festival on Therapeutic Sport Meet for Persons with Disabilities (Divyangjan) organized by National Institute for Empowerment of Persons with Multiple Disabilities (NIEPMD), Muttukad, Chennai, Tamil Nadu. 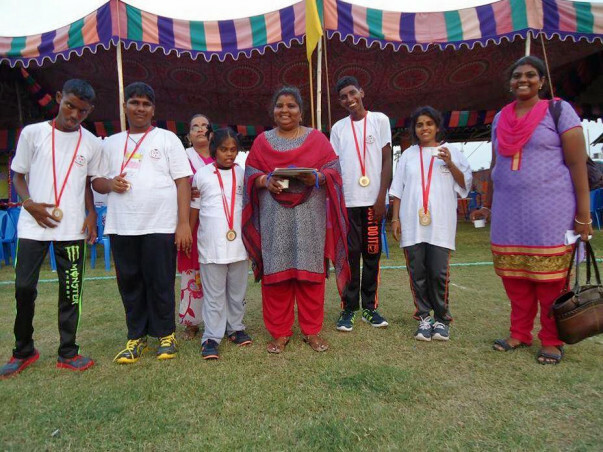 You can Sponsor – physio & Speech therapy & Special Education (Rs. 250) for 1 child / per week OR Rs. 1000/- per month. You can sponsor - Lunch @Rs. 2000/- per day for 20 children.